Pantropic Lentiviral Packaging System | Cell Biolabs, Inc.
Our ViraSafe™ Lentiviral Packaging Systems contain three packaging plasmids for co-transfection with your own third generation lentiviral expression construct. 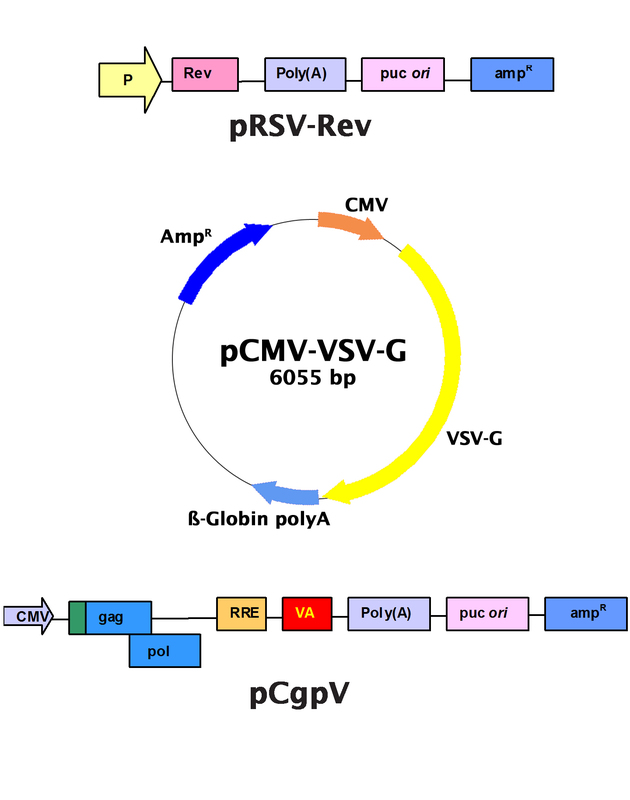 If you need an expression vector as well as the packaging plasmids, consider our ViraSafe™ Lentiviral Expression Complete Systems. 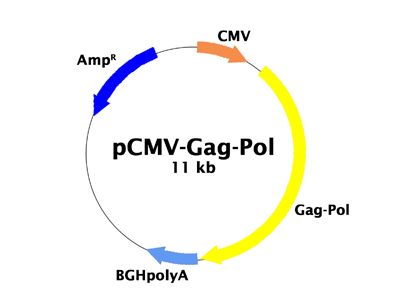 The Pantropic Packaging System assembles VSVG-pseudotyped lentiviruses which can easily infect virtually any cells regardless of their species of origin. Nguyen, A. et al. (2016). PKLR promotes colorectal cancer liver colonization through induction of glutathione synthesis. J Clin Invest. doi:10.1172/JCI83587. Vogt, J. et al. (2014). Protein Associated with SMAD1 (PAWS1/FAM83G) is a Substrate for Type I Bone Morphogenetic Protein Receptors and Modulates Bone Morphogenetic Protein Signalling. Open Bio. 4:130210.